The following describes a day in the life of some opposition bloggers and how they respond to news. You frown. It can’t be true. They must be Cameroonian or Chadian troops. You zoom your screen and scrutinize their uniforms and tags…go check more weblinks. Off to EgbereTV for counter information…none found. You are sad. You find an old one on a bomb and you quickly share it. Nonsense! How can the army be winning? Mschew! “NNPC Warri and Kaduna refineries closed. Escravos crude oil and gas pipelines blown by militants”. Yes!!! Good news! Serves them right. I told you they could not govern successfully. They can’t even guard our pipelines! Just before you share the story, NEPA takes light and darkness distracts you. You go and pour your last four litres of petrol and start your gen to continue your gleeful sharing of the news. It did not occur to you that the gas turbine in the power plant serving you had to be shut down due to that pipeline sabotage…that was why your power was cut. “New York Times says Buhari government monetary policy is un-effective and will damage the economy”. More smiles. Quickly share the news story. Tweet it and go round all your friend’s pages making comments about how clueless the president is. Yet you do not bother to read the news report to understand the specific parts of the policy they have an issue with and use your advantage of local knowledge to judge to see if they are right or if their conclusion is one borne of our interest or of that of the foreign bodies they are affiliated to, etc. “Iran warns Buhari about his treatment of Shia Muslims”. See them. Iran is warning them now. If they like they should not behave themselves. When we told them the COAS should have turned back and come to pass another day, they did not listen. In fact I pray that Iran attacks us so they learn a lesson. Share the news one time. It does not matter to you that a warning from Iran on our internal matter, purely motivated by their affiliation to a religious movement, is an insult to our (collective) national psyche and sovereignty. Aaah…you are tired. You plug your phone to charge. That was enough good news for one day. You got to post four big ones. You were right after all. This government is not working. Your gen runs out of petrol and stutters to silence. More darkness. Heat. Sweat starts. You swat a mosquito. You still manage to sleep…because you are happy. This country is not working under Buhari. You shall wake up to more tales of woe from EgbereTV, TrentOnline, Scannews, TheHerald_dotcom and the walls of your favourite Facebook grand cyclops and instigators…this thought comforts you as you snooze off. You should see the movie. You will find out how quality of life quickly degenerates in a war. Maslow is proved right here. Survival takes clear precedence and gives love, self actualization and esteem a very wide berth on the hierarchy of needs. Man is reduced to his animal form. People die for no reason. Children grow up overnight. Boys become killers and girls are used to satisfy the needs of all kinds of men and beasts. You see, war is not organized sport. All manner of tactics are employed by all sides. There are no umpires on ground to blow the whistle and raise a flag for unfair play. Civil facilities and and infrastructure are destroyed and whatever is left is stretched thin. People die from bombs, mines, bullets, machetes, hunger, disease and other associated conditions. Populations are decimated and a whole generation is destroyed. Life becomes worthless. People lose their faith. Wealth vanishes. Society gets fragmented into unproductive bits. At some point, people forget the reason for fighting. But it’s too late. They will keep at it until everything is totally destroyed; and like a farm burnt after a harvest, regenerate for a new season. All these happen while peaceful nations, who have learnt from this experience, continue to grow, prosper and become beneficiaries of the foolishness of warring countries. Those that refuse to learn from the examples of others and plunge themselves into needless strife, are set back decades. 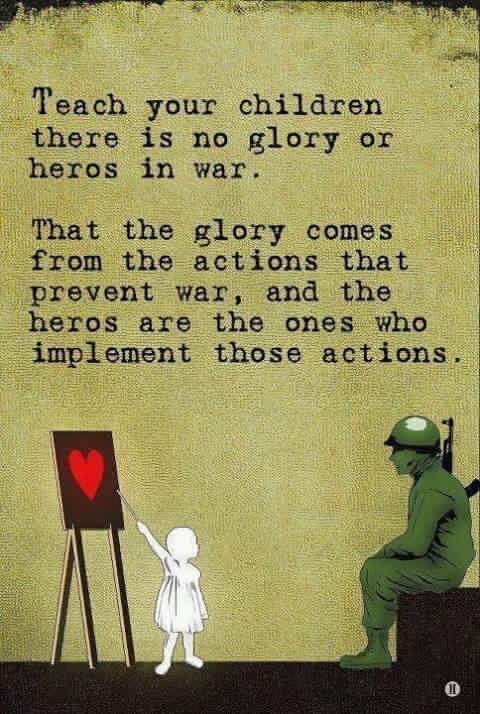 They will come to find out that in war, everyone is a loser. They will become a burden on sensible nations. After “peace”, it will take years and commitment from all sides for them to properly come to terms with the devastation and be on the path to healing, reconciliation, rebuilding, self sustenance and growth once again. The stories will be told. Different versions from the mental filter of the sides involved. One’s hero easily becomes another’s villain and war criminal. Even that takes nothing away from the devastation and its remnant marks. As of January 20, the federal ministry of health reports a total of 239 cases and 82 deaths (confirmed and suspected) spread across 18 states namely; Bauchi, Niger, Taraba, Rivers, Kano, Oyo, Edo, Plateau, Nassarawa, Sokoto, FCT, Ondo, Delta, Gombe, Osun, Kogi, Lagos and Ekiti. What is it and how is it transmitted? Just like Ebola, Lassa fever is a viral haemorrhagic fever and is prevalent in certain West African Countries, with strong presence in Guinea, Nigeria, Liberia and Sierra Leone. Without going into detailed Lassa fever pathology, as I am not qualified to do so, here is a brief summary and recommended prevention steps gleaned from the Centre for Disease Control (CDC) website. Lassa fever is transmitted by a breed of multi-mammate rats which can be found in domestic settings. Humans contract the disease though contact with food or other materials contaminated with droppings and urine of these rodents. Others are; inhaling particles contaminated with these rodents excretions and the actual consumption of these rodents, as practised by some people. There is also person-to-person transmission through contact with virus in the blood tissue, secretions or excretions of infected humans. Symptoms often begin with slight fever, general malaise, weakness, and headache. This may progress to more serious symptoms including hemorrhaging (in gums, eyes, or nose, as examples), respiratory distress, repeated vomiting, and facial swelling, pain in the chest, back, and abdomen, and shock. Neurological problems have also been described, including hearing loss, tremors, and encephalitis. Death may occur within two weeks after symptom onset due to multi-organ failure. 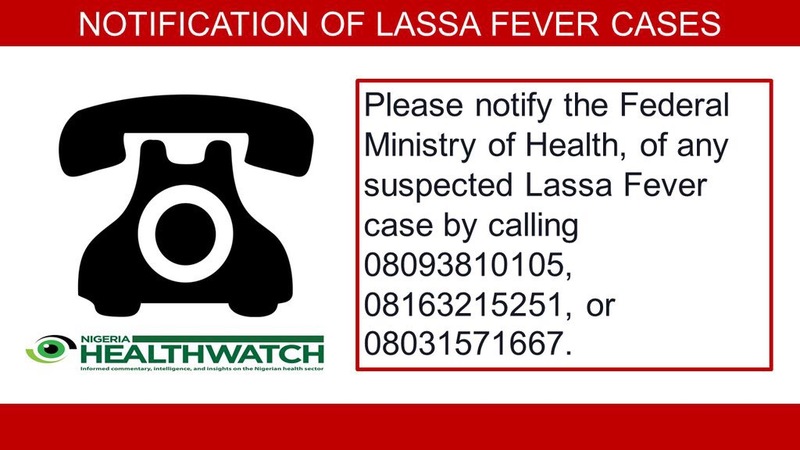 The most common complication of Lassa fever is deafness. Various degrees of deafness occur in approximately one-third of infections, and in many cases hearing loss is permanent. In my mind there is more honour in saying “We had to temporarily withdraw the budget to make some necessary review and changes. We do not expect this to cause a substantial delay in the approval process. We are doing this transparently in the best interest of all Nigerians”. That is the path of honour. It smacks of disrespect to think Nigerians are stupid enough not to understand that the outcry from the public on the more outrageous line items of the detailed appropriation bill (#2016Budget) was not the cause of this sudden drama. Pray, what is the big deal in admitting to making mistakes? Isn’t the budget still a “proposed” document until it is passed by the NASS? It is part of the process of budget review to proactively (or even reactively) make amendments. So, why the shame? In the end the budget is still left with unexplained and frivolous line items, especially with respect to the State House section. It would be interesting to know what wildlife conservation is going on in the Abuja state house that’ll cost us N115M. Thank God the government is no longer spending N3B on BMW cars and SUVs. Another gain from the media chat. In the end, no net difference as a new N3.9B line item was added under “annual routine maintenance of villa facilities by JBN – N3.9B”. See for yourself “The Cable’s” review of the new version of the budget in the links below. I also saw the previous version of the budget, as published by BudgIT weeks ago. I hope the president’s spokespersons and supporters are not turning out to be just as out of touch and deliberately condescending to the public as those who were there in the days of the PDP. In this area, sadly, the more things change, the more they remain the same. I’m not even going to bother reviewing this tune from Burnaboy. Would not know where to start. The slamming beats, mid tempo rhythm, horns, and the well delivered afro beat lyrics with the signature chant, all combine to make this an excellent piece of naija jam. Go on. Turn the music up in the headphones! Divisive personality with a (sometimes) reprehensible message, but very good politician. He has succeeded at something a lot of people in politics fail at and which is the at the core of the game. Acceptability and strong sync with your target public. In primaries elections, the voters are from within the party ranks. He has managed to latch on to the values of those ones and is now seen as a champion and voice for how they see the world. This is why, baring any last minute underhand moves by the (now embarrassed) GOP establishment or if he truly overplays his hand, he will win the primaries and face the Democrats in the general elections. Then he will move to the next phase of his project – find middle ground to appeal to the non aligned/neutrals by focusing on the issues that hold all people together in a manner that is acceptable, while hammering on the weakness of the democrat flag bearer. He is not an experienced businessman for nothing. That said, I do not see him winning the general elections against a strong democrat candidate. If you’ve lived in the US for any amount of time or followed their politics, you would see the ever present struggle between the conservative trickle down economics and the liberal bottoms up or “trickle up” approach. While the former believes in empowering the rich to create wealth and jobs by lowering taxes and creating incentives for big corporations, the later increases taxes for the rich, raises minimum wage to boost spending power of those at the bottom of the income gap and the middle class, etc. And this is all believable depending on what you are watching between FOX, MSNBC, NBC and CNN. See Robert Reich demystify the trickle down approach, and others, in this short video. When the first thing that comes up when your name is typed in a search engine is on the subject of women’s hair and you’ve spent the better part of two years explaining your position to females (for and against), it can be quite tedious. But I am glad I had that chat with Natural Nigerian. I Still stand by my expressed opinion. See full text of interview n the link below. Every genuine rap head will easily tell you that the 1990s was the decade of hip hop. Every rapper or album that defined the genre can be found in these 10 years. This was the period of Biggie, Tupac, NWA, PE, NAS, Jay Z, and groups like Wu Tang Clan, the Fugees and Geto Boys. We also saw the intense beef between the east and west coast that led to the greatest from both regions dying in the space of one year. This was also the decade of rap soundtracks to black themed movies like Boyz in da Hood, Above the Rim, Menace to Society, A Thin Line Between Love and Hate, etc. If you did not live in this decade, you (sir) have missed out on a defining period in music. Lifestyle/pop culture web magazine, www.complex.com, published a list of the 90 best hip hop albums of the 90s, in April 2014, that had all my favourites in it. My best 36, in no particular order, are shown in the album cover collage published in the header. For complete list of top 90 songs, see the link below. Tell us which album is your #1 before opening the link. Hint: It’s one of the ones from my 36 album covers. My buddy, Falcon, pointed me out to this list of “Best Rapper Alive“, every year since 1979, from Complex. Very enlightening read. It breaks hip hop down to its historical bare essentials. Highly recommended.